A gorgeous silver bangle containing matching crystals. 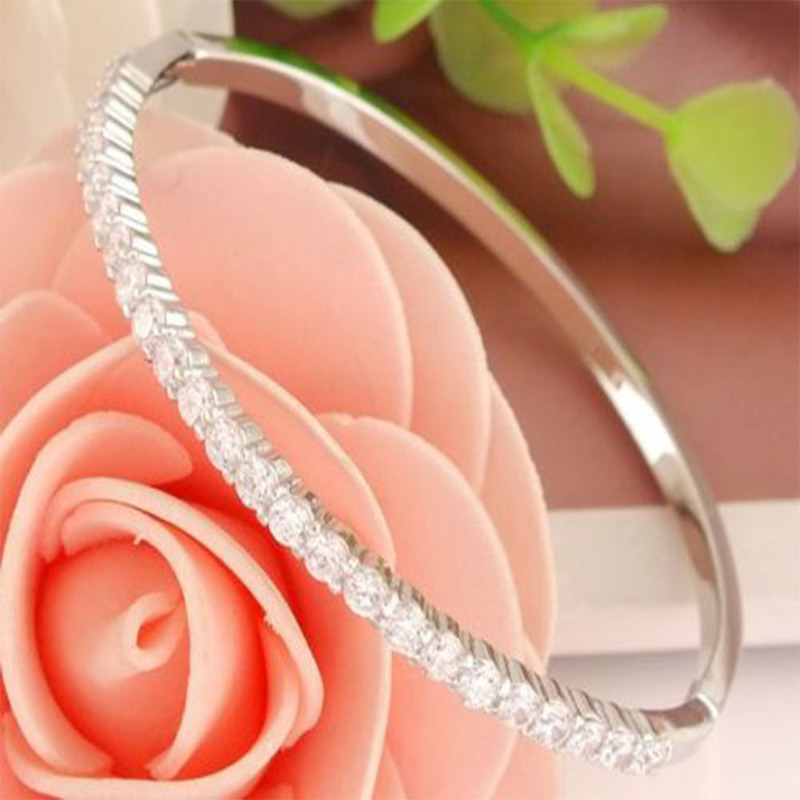 This gorgeous silver bangle is decorated with a row of sparkling silver crystals. This bangle is the perfect way to add a little sparkle to your outfit.